t the winery we can organise guided tastings at the counter with only wines or seated at the table, in the tasting room, where we can accommodate up to 20 visitors at a time, seated at the table. 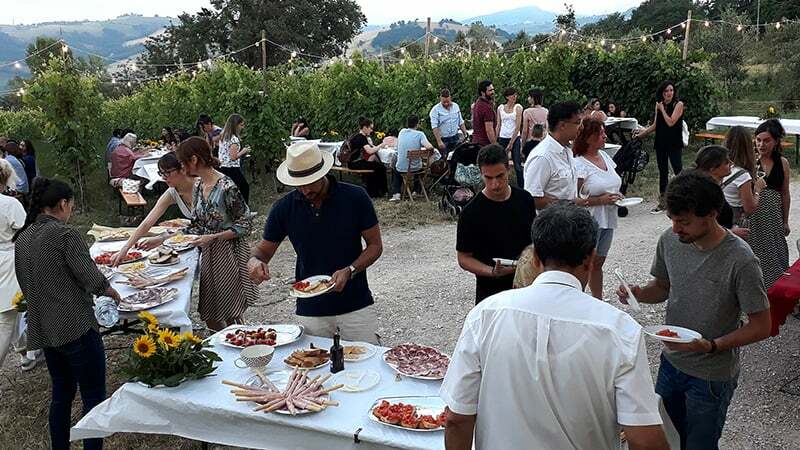 Here, we can combine guided wine tasting with local gastronomic products such as cured meats, cheese, pizza, bruschetta and biscuits and booking is required. 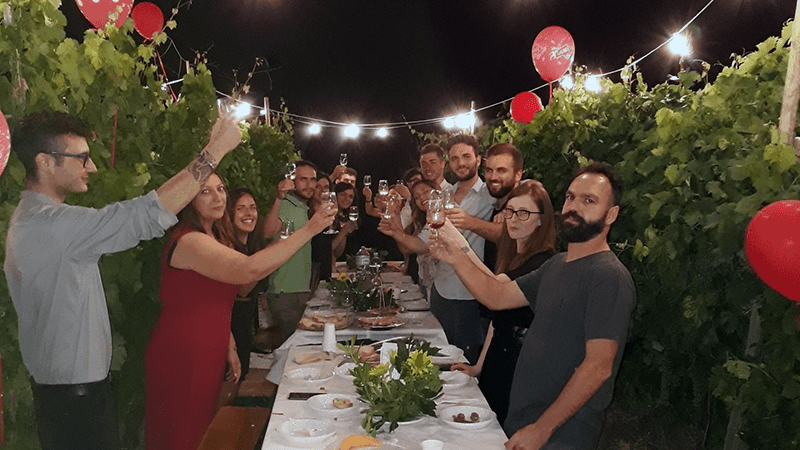 e also organise tastings (apericena) in the vineyard in July and August. 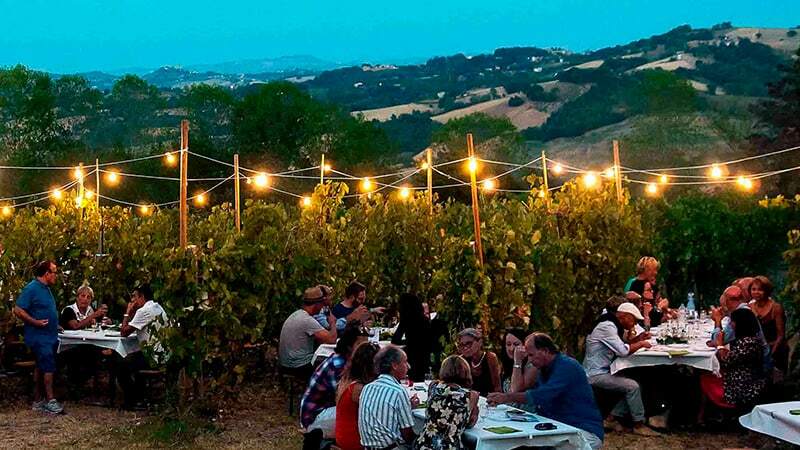 The vineyard, nestled on a hillside approximately 600 meters above sea level, with lights and tables set between the rows of vines, provides for a unique and unforgettable atmosphere. 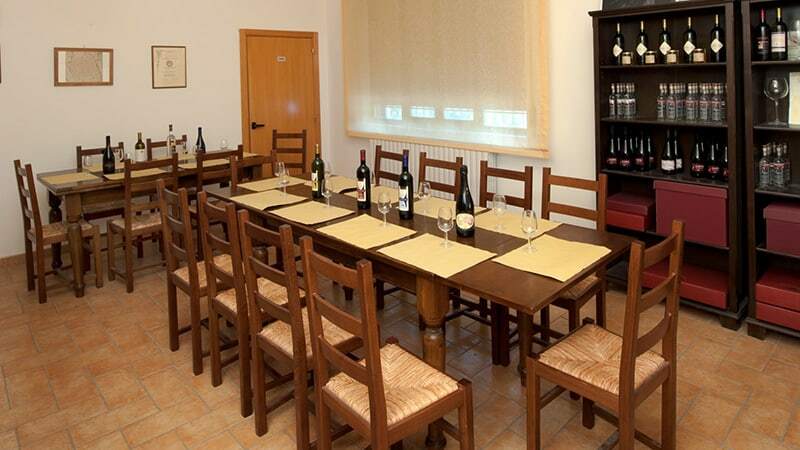 Our wines are paired with local gastronomic products as per the guided tasting in the winery. 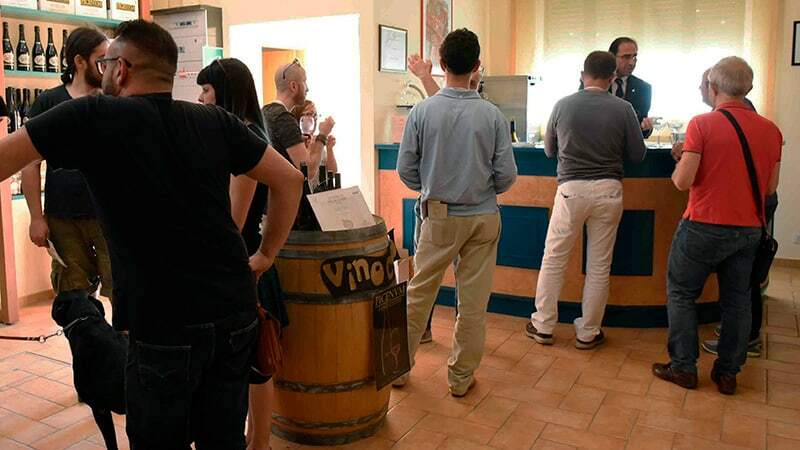 The tastings are normally on Saturday evenings and booking is required. These events are published in advance on the FB page of Terre di San Ginesio. We are also happy to organize extra evenings based upon specific customer requests.